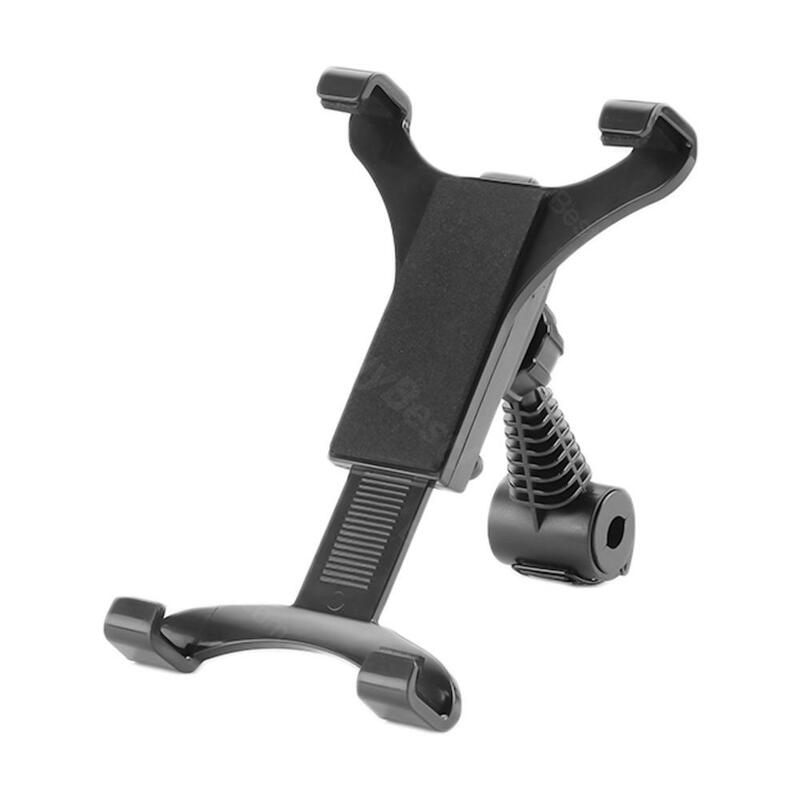 ET JYM-1 Car Back Seat Tablet Stand, which can catch the headrest tightly while the car is moving, is compatible with 7-10 inch tablet. Just take it. 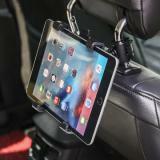 Car Back Seat Tablet Stand For 7-12 Inch is greatly convenient to hold for iPad or others at the headrest and facilitate the passengers to play at the back seat. 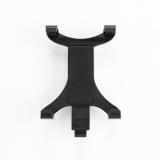 Made of superior quality material, considerate design makes it can catch the headrest tightly while the car is moving. It allows the tablets to rotate at different angles, even 360 degree rotation or upward/downward, therefore, users can choose their favorite viewing angle by adjusting the holder. 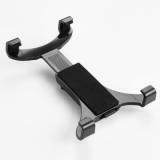 Car Back Seat Tablet Stand For 7-12 Inch is a must item for tablets lovers and users, which is compatible with 7-10 inch tablet, iPad 1/2/3/4/mimi, Samsung galaxy Tab and so on. 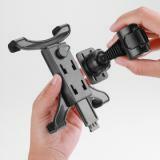 • Quick link: Folding Phone Tablet Tripod Stand. Works great on tablets without a case. I would have kept it but I had to take my case off to use the mount. We purchased this so my kids could play their Nintendo Switch while on long car trips. It works perfectly. I'm not sure how it would do with a heavier tablet, as the Switch is very lightweight. We ordered this last week and used it on a 3 hour drive this past weekend! It worked perfectly. My daughter always watches movies in the car but I'm always afraid she's going to hurt her neck from looking down so much. This product is amazing. Installation was easy and it an be adjusted it many different ways. Definitely worth the extra month! It worked perfectly. My daughter always watches movies in the car but I'm always afraid she's going to hurt her neck from looking down so much. This product is amazing. Installation was easy and it an be adjusted it many different ways. Definitely worth the extra month! 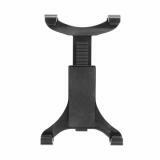 This headrest mount is really great!! We have a galaxy tab E, and it fits really perfect! Love that I can swivel it to aim it for my daughter since her car seat is in the middle. Holds the tablet up really good! Definitely recommend!